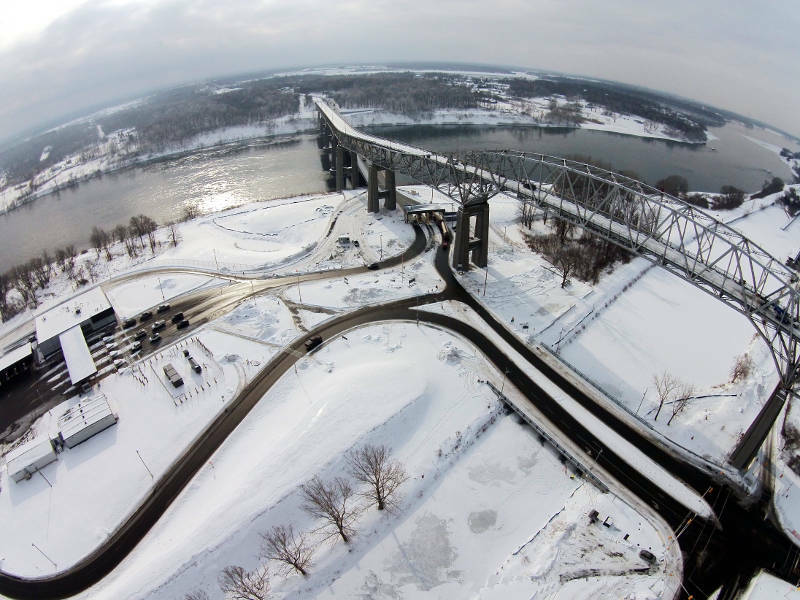 CORNWALL – With the demolition of the north span of the Three Nations Bridge well underway there will be a detour at the toll booth coming next month. A temporary toll booth location has been placed to the east of the new facility, near the Canada Customs reporting office. It is expected that motorists will be detoured slightly in late February or early March as the demolition crew removes the bridge decking in the Water Street and Brookdale Avenue area. No specific date has been set for the detour to start. During this time safety for motorists and crew are top priority, says the Federal Bridge Corporation. “The purpose of the detour is to maintain the traffic flow onto the bridge while workers are dismantling that specific portion of the bridge, which is located directly above the permanent toll booth and parking area,” says André Girard, vice president of communications for the Federal Bridge Corporation. The temporary toll booth functions just like the original one and has been in place since early December. It will remain there until June 2016 when the bridge demolition is expected to be completed. “During the times that there is no work taking place in the area, traffic will be returned to the regular roadway,” says Girard.